#DBlogWeek Day 3: Clean it out. This is the sixth year of Diabetes Blog Week, started by Karen over at Bitter~Sweet Diabetes. All of us diabetes bloggers are given a subject to write about each day during this week, and after we publish each day’s installment, we’ll go back and link our posts on her site. Want to know more? CLICK HERE. There are two things that I really need to clean out from my diabetes life. These are two actual, tangible things. One is my insulin pump. People who read this space on a regular basis may remember Decision 2014, when I tried nearly every insulin pump on the market in the USA. That’s because my pump warranty expired last year, and I really need a new one. The Medtronic Revel pump I have now is five years old, it looks five years old, and it’s starting to act a little cranky at times. So it’s definitely time. Why haven’t I chosen a new pump yet? I haven’t chosen a new pump because… instead of finding the perfect pump for my life (and the next four years of my life), I wound up deciding that none of the pumps on the market in the USA is a good fit for me. I know I’ll never find the perfect pump, but I would like to see something a little closer to what I’m looking for. Until that moment comes, I’m going to wait. Well, at least as long as my current pump holds out anyway. My grandmother found this in a drug store shortly after I was diagnosed. She thought it would help me keep my insulin cool when I’m away from home. And she was right. And I’ve kept this thing for 24 years. It’s been to Florida and California, New York and Seattle, 22 states in all. It’s been to Jamaica, Ireland, England, and Belgium. It’s logged a lot of miles and kept my life-giving juice safe and cool. But… it is time to say goodbye to it. I mean, did you look at that thing? It’s getting difficult to keep clean. It’s a little out of shape now too. It has definitely seen better days. 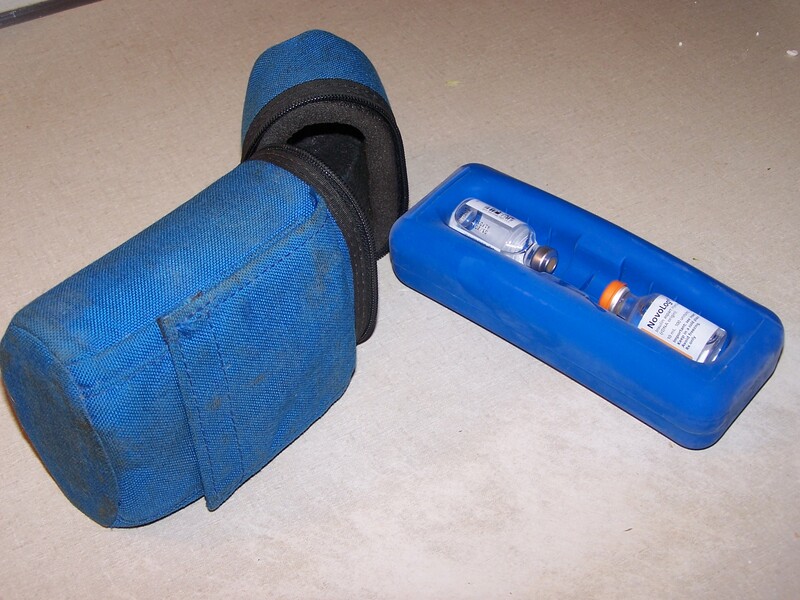 So as soon as I can find something similar that will do just as well keeping my insulin cool and safe, this will be heading to the landfill like so much other medical device paraphernalia. It’s not easy saying goodbye. But it’s a necessary thing sometimes. These two things have served me well during the time I’ve had them. But it’s time to let them retire. If you really want to know the truth… I’m looking forward to replacing them. « #DBlogWeek Day 2: Keep it to yourself. Choosing a new pump can be SO hard. SO hard. I understand. I have the same “coolie thing!” I stopped using it when the Frio wallets came out. I keep thinking that I’ll use it again though so I’m not tossing it just yet!! 🙂 Good luck with the pump decision. It sure ain’t easy is it? Oh yes, that bag definitely looks 24 years old! Haha. I don’t have anything very old from the early years of my diabetes. There’s just not a lot from back then that I would still use. Allison, I think that’s my problem… I’m still using it. Maybe I should stick a crowbar in my wallet and find something new. Stephen maybe you might like one of those http://www.frioinsulincoolingcase.com/. Thanks for the link! I definitely need to do this. Oh yes… they are both dinosaurs at this point! I definitely am a fan of Frio and have never bought any other cooler. When it comes to pumps, IMO there is no A+ choice. 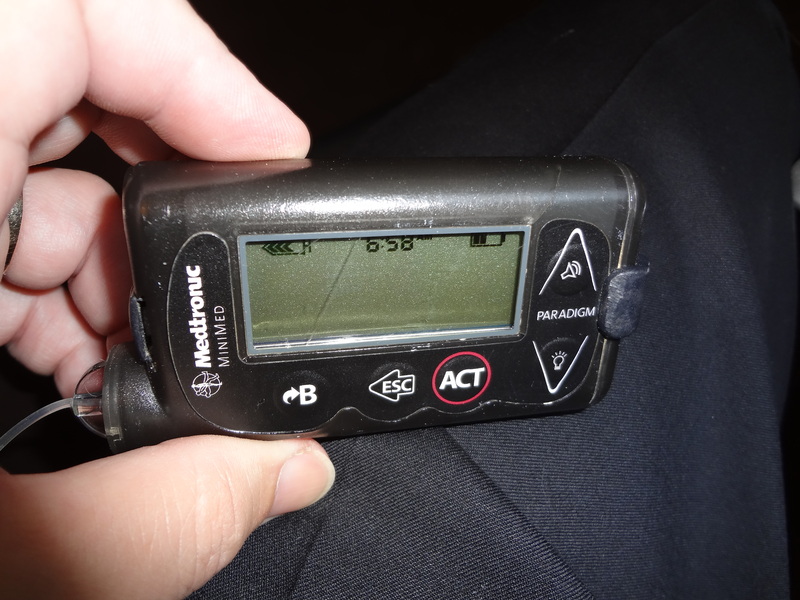 If I hadn’t made my choice a few years ago because of impending Medicare coverage, I would have stayed with my Medtronic pump until it died. That’s awesome you have kept that cooler and used it for so long! And totally understandable about the pump. I keep upgrading with Medtronic but one of these days I want to try a new pump! Man, that cooler reminds me of the wallet that I carry every day. I’ve had that thing for at least 15 years. It’s old and a bit worn, but it still serves its purpose. Its days are numbered though. That cooler pack is stunning! I love ‘old looking’ things though. I’d hang out to that one FOR you if and when you find something better!! Thanks for sharing, Stephen! I’m totally stoked on your old school cooler case!! I love that thing! It does still work, thanks! I’m still procrastinating on the pump choice. Really, I was waiting for the Snap to be released with a Novolog option, but that ship has sailed. Back to square one.